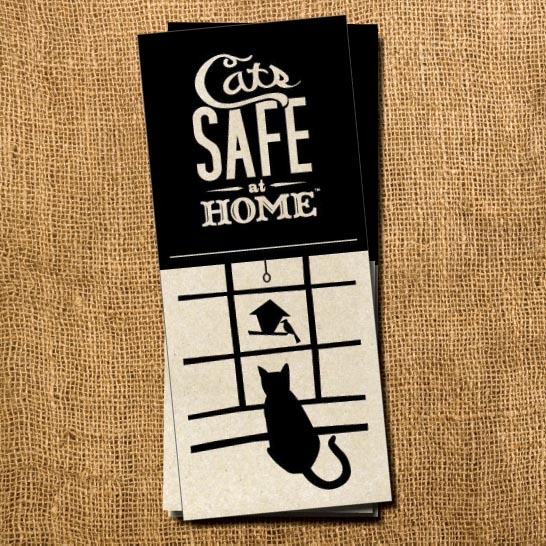 I teamed up with the Audubon Society and The Feral Cat Coalition of Oregon (FCCO) to create this brochure for their “Cats Safe at Home™” campaign. 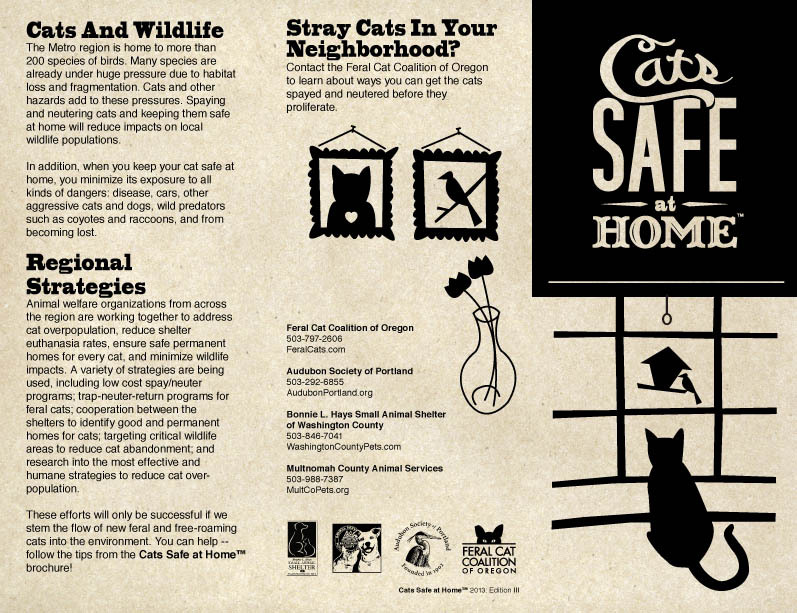 Cat people and bird people don’t usually mix much, but here in Portland they have formed a great alliance and they are working together to help keep both cats and our local birds safe. The brochure needed to be compelling, easy to read and inexpensive to print. 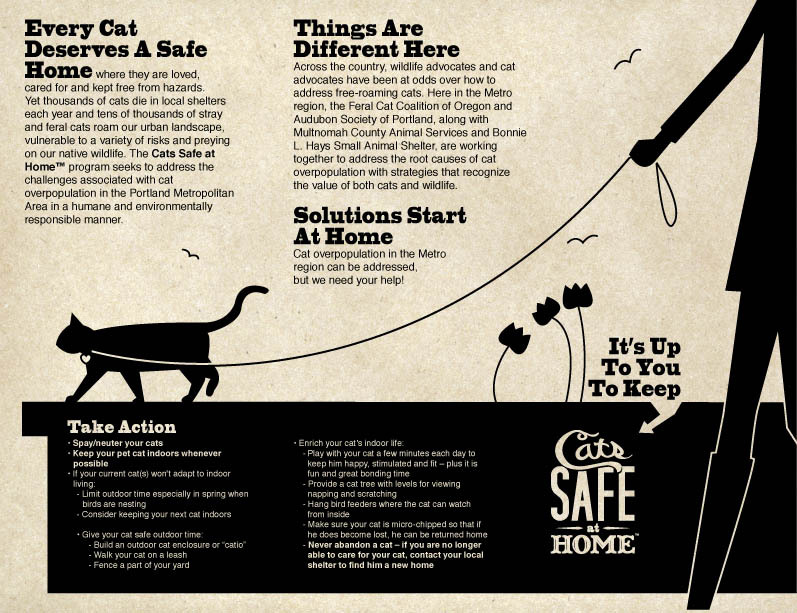 The Feral Cat Coalition of Oregon is a trap-neuter-return (TNR) program for feral and stray cats living in Oregon. The goal of the program is to reduce suffering for existing feral cats and prevent the births and suffering of future generations.